Personal training is one of the most important aspects of getting a good workout. Many people who are new to working out or who are not seeing the results they want get their best results from teaming up with a trainer. Of course personal training in seattle is usually one of those aspects you sacrifice when you get into a class setting. That’s not the case with our MAX Fitness Boot camp workout. One of the reasons this class has become so popular is the personal training we include in our classes. Get that custom one on one time with a personal trainer you need all while in a classroom atmosphere. So what are the benefits to having a personal trainer? Learn proper form and technique – Most classes are fast paced and you could be learning something all wrong. Not only will this not get you results you want, it could also cause more harm than good. Having someone to correct you or guide you towards better form is invaluable. Give you a push – it isn’t always possible to dig down and find that last ounce of motivation to get through an intense workout like fitness boot camp. A good personal trainer is there to push you farther than even you believed was possible. This helps you eliminate where you once thought your limits were. Customize your workout – Getting into a class environment can be difficult because not everyone is on the same level. So some people don’t feel challenged enough while others can’t seem to keep pace with the others. Having individual attention from a personal trainer means even a classroom environment can accommodate each individual student. Safety – All of our goals for training students include safety as a top priority. Sometimes in a class setting though if a student is unaware of how to do something he or she may not be able to ask. Performing your workout is not something you want to guess at since this could lead to temporary or even permanent injuries. Having a professional personal trainer to ask or who can point out if you are putting your safety in jeopardy is a great benefit to have. Keeping it fun, refreshing, new and exciting – We pride ourselves on making each class new and interesting, regardless of what style it is. Our instructors and personal trainers work hard to plan out the MAX Fitness boot camp classes so that you are not doing the same routine each time and getting bored with it. You get to learn something new and have fun doing it. Too many classes are built upon memorizing a routine. This can get stale. Not only that but your muscles also learn to cheat if they do the same thing each routine. So this makes your routine ineffective over time. The best way to understand just how real a personal trainer can make your MAX Fitness class is to give it a try. Your body, mind and life will never be the same. If you are interested in learning more about our fitness boot camps or other programs we offer, you can call us at 1-206-457-2101, or visit our website at http://www.maxfitnessbootcamp.com. You can also drop in and talk to some of our fitness instructors about which program would be best for you. 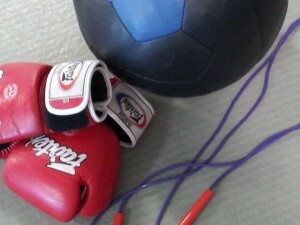 This entry was posted in Personal Training, Seattle Boot Camp and tagged bootcamp, Personal Training by mkgmaxfitness. Bookmark the permalink.